Eating out is always one of my favourite things to do. For mother’s day this year, I decided on something a little different and headed to Sakura (with mumma!) in Winchester. Winchester is always a nice day out filled with cobbled streets, tea rooms and food stalls, so after stopping for coffee and a lovely stroll down the high street, we decided to sit down to some Japanese. Hidden away underground (hence the dark pictures – sorry! 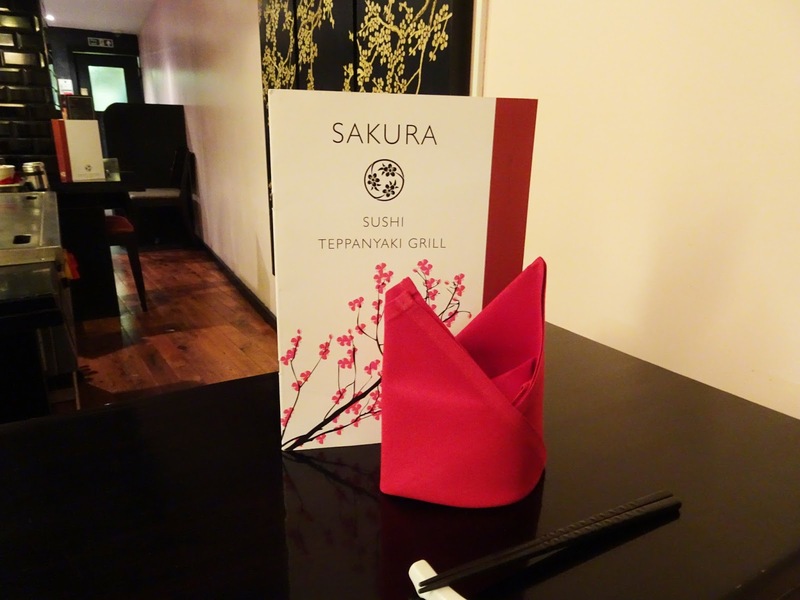 ), Sakura is at the end of the high street and offers sushi & noodles on normal tables, or you can book a spot for Teppanyaki. 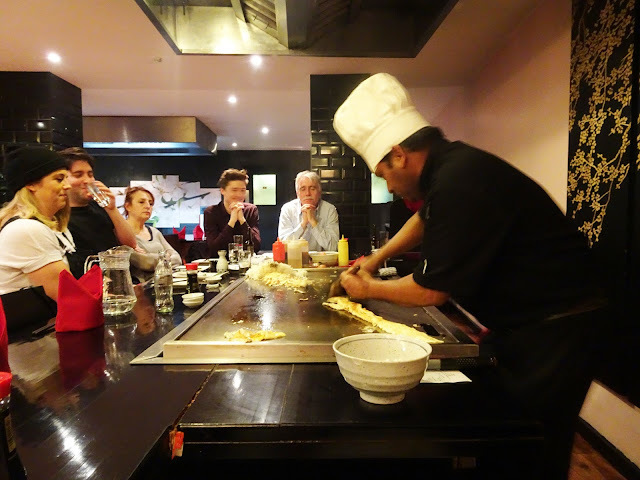 Anyone who doesn’t know (trust me, you need to know) Teppanyaki is a style of Japanese cusine where food is cooked using an iron griddle, cooked in front of you. This is what we opted for. Starting with cocktails, crab tempura and gyoza (which I highly recommend) we watched as our ‘cook’ heated up the grill and began to bring out mains out. After munching up our starters the chef began with some ‘tricks’ to get the 'crowd' warmed up – there are around 10 people sitting around each grill, so our cook introduced himself, checked our orders (we had lobster, steak and duck) and began juggling eggs for the egg fried rice. The appeal to this type of cooking is the act of watching your food being cooked right in front of you. The skill the cooks have is amazing, using flaming oils to add drama and quick hand chopping to keep you impressed. 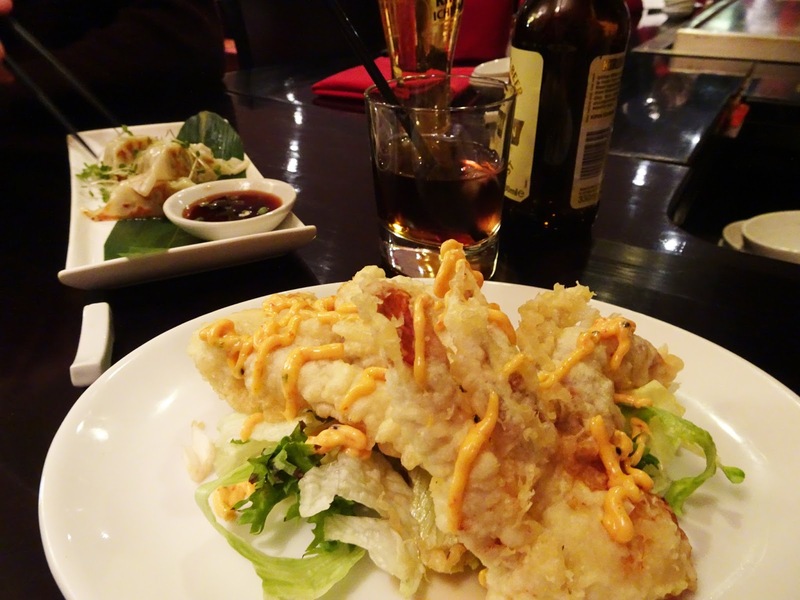 Perfect for a more social and relaxed dinner. 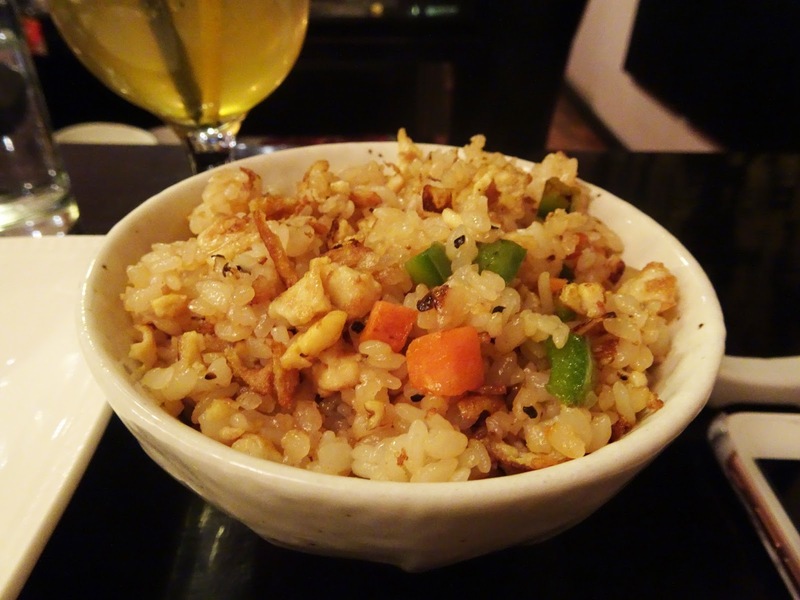 Egg fried rice was made and stir fried vegetables followed, which then left room for the main event. Now you can order the Lobster and steak together (think surf n turf) which was the most popular item on the menu and I can see why. 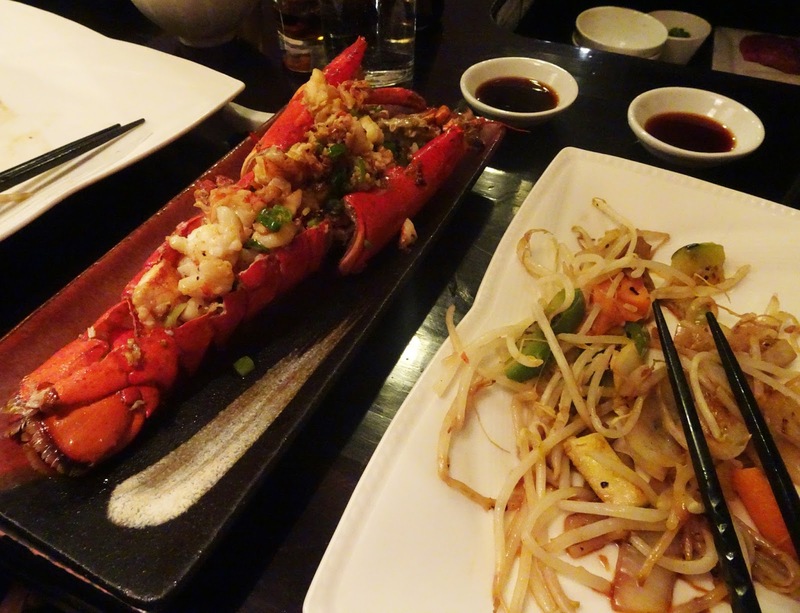 The lobster came tossed in garlic butter and the steak is cooked to your preference. When cooking, you can choose from variety of sauces and you can switch up your steak for different meats and/or sea food. 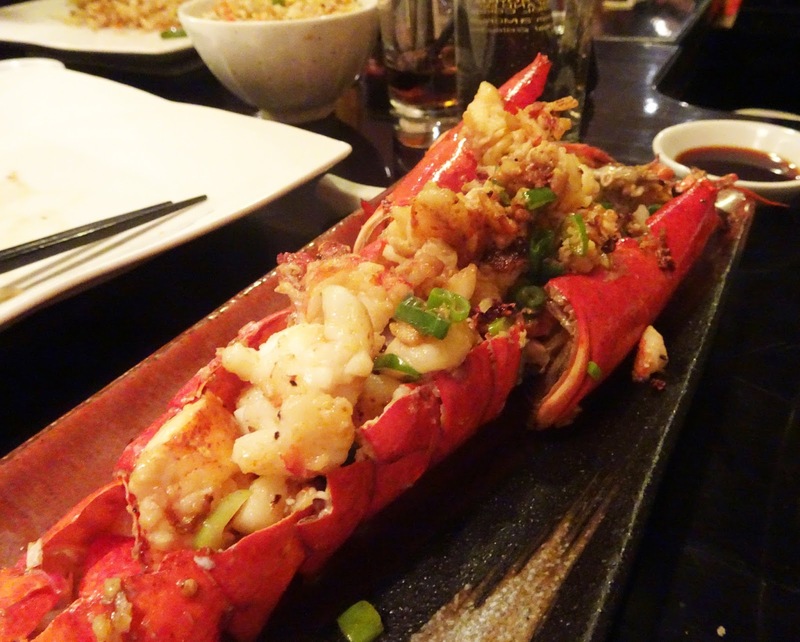 I recommend going for the lobster and duck, which were my favs from the menu. The dark was cooked was in a delicious plum sauce and cooked perfectly pink. We left the meal suitably stuffed, and enjoyed the fun of entertainment and a meal in one. The restaurant is small so book early to avoid disappointment and the service in there is super friendly. 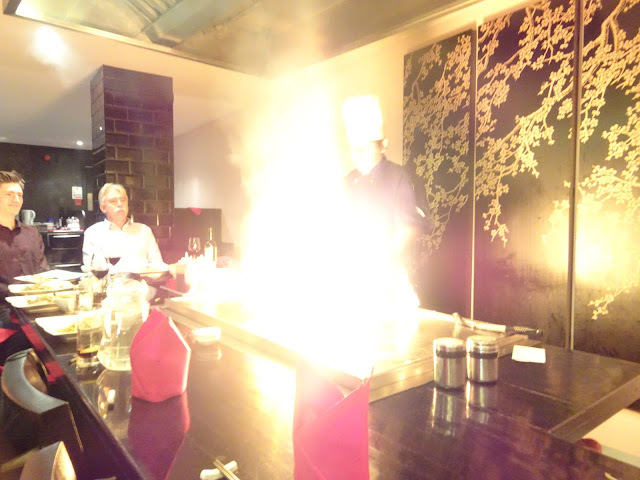 This place is all about the Teppanyaki, so be sure to ask for a seat at the grill and watch the flames fly!